Connecticut, USA?? Merkel?s meeting with Prime Minister?Hailemariam Desalegn focused on the country?s newly declared state of emergency and other issues including migration. The most recent protests started on October 2 after dozens of people died in clashes with government security forces during a holy festival celebrated by the country?s Oromo people. ?Jawar Mohammed, an influential Oromo activist based in the US, said businesses that have displaced Oromo or have links to the ruling coalition are being targeted. Getachew said protesters had since torched more than a dozen farms and destroyed five factories, adding that an unspecified number of civilians had been killed in the ensuing violence. Lately, Ethiopia, Egypt and Sudan have signed a deal with two French consultancy firms to study the anticipated impact of a massive hydroelectric dam. The two countries have always been in a dispute over a massive hydroelectric dam that Ethiopia is building on the Nile River, with Egypt saying the project will reduce its share of the river?s flow. Egypt?s ministry of foreign affairs restated on Monday Egypt?s total respect for Ethiopian sovereignty, and non-interference in the country?s internal affairs, following allegations of Egyptian support for anti-government demonstrations by the Oromo ethnic group. ?The violence in Oromiya has put a shadow over a nation where a state-led industrial drive has created one of Africa?s fastest growing economies. 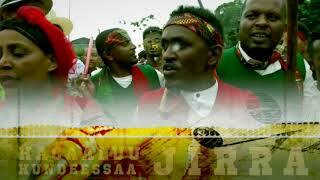 The Oromo population represent 34.4 percent while the Amhara (Amara) accounts for 27 percent. Under this, healthcare and other types of social support have spread across a country where most people rely on subsistence farming that has been hit by severe drought in the past two years or more.In an apparent olive branch to the protesters, President Mulatu Teshome Wirtu told parliament on Monday Ethiopia should ?widen democratic platforms to ensure alternative views are expressed? before the next vote in 2020.However Merera Gudina, leader of the Oromo Federalist Congress, swiftly dismissed his suggestion as ?too little, too late?, saying protesters wanted new elections immediately. ?Ethiopia?s government is facing the biggest challenge of its 25 years in power, with anti-government protests spreading, foreign owned companies targeted and a harsh security crackdown that has killed hundreds so far failing to quell the unrest. Hefny said that the video ?does not reflect the reality at all?, describing it as an attempt by third parties to sow discord between Egypt and Ethiopia, especially considering that bilateral relations have been improving in recent months, the statement read. And Ethiopia is committed to have human rights observed. U.S. President Barack Obama told his Ethiopian hosts in Addis Ababa a year ago that greater political openness would ?strengthen rather than inhibit? development. While the government later gave up the idea, the protests broadened into a demand for more rights and for the release of detained activists, opposition figures and journalists.